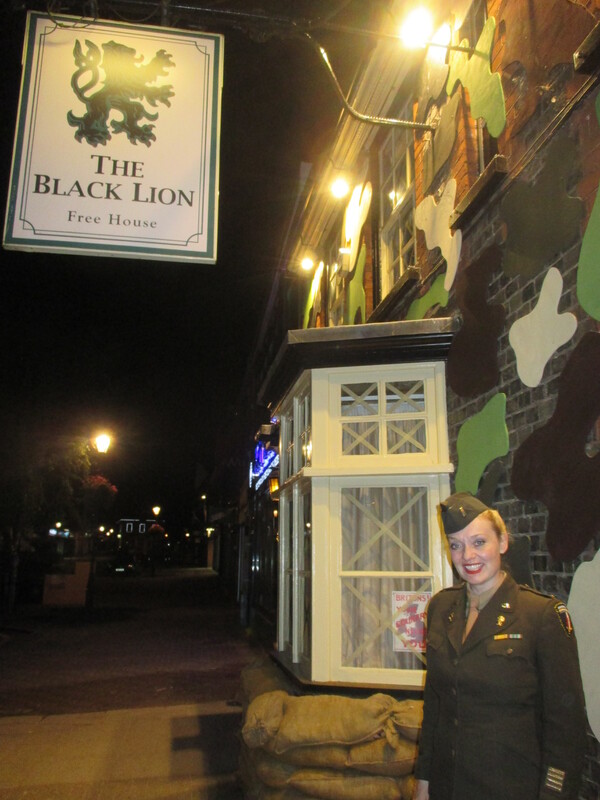 From the Black Lion to Shuttleworth & Back Before the Cameras! All Set to Go On Stage! The Black Lion Pub 1940s Style! I hope like me you’ve all been enjoying the last few days of Summer and making the most of the lovely weather. With us now moving into the month of September my work load is really starting to step up a gear. I’ve sold 40 shows for September and this bank holiday was a little like the calm before the storm. However saying that on Monday I had two shows back to back, the first was for an afternoon summer garden party in Northampton and the second was here in my home town of Leighton Buzzard at The Black Lion. In truth I spend all my time on the road so to have a job in Leighton Buzzard was something of a treat. I’m always travelling and it was lovely to receive the call from The Black Lion inviting me to perform for their weekend grand finally the very best in 1940s music. Paul was free this weekend and as luck would have it he was able to join me on stage which went down extremely well with every-one. Paul is becoming quite a star in his own right which resulted in him performing two encores! 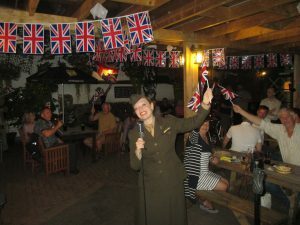 I came dressed in my American 1940s WAC uniform and performed a verity of British and American songs from the period concluding with British Themes and “Land of Hope and Glory”. 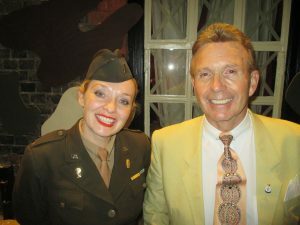 I can’t make up my mind which the audience enjoyed more the British sing along or the American razzmatazz but either way we had plenty of both and by the end of the show the audience gave Paul and I a standing ovation, which was just lovely. Paul and I After the Show! 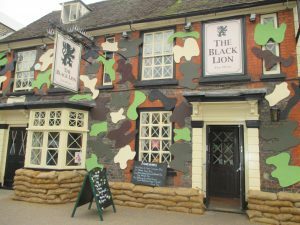 Leighton Buzzard since the age of 5 but I have to confess this was the first time I had ever been inside The Black Lion although I don’t know why when it’s such a lovely pub and has such a great atmosphere. So thank-you to every-one who came along to see Paul and I on Monday, it was wonderful to sing for you all and we must do it again sometime. 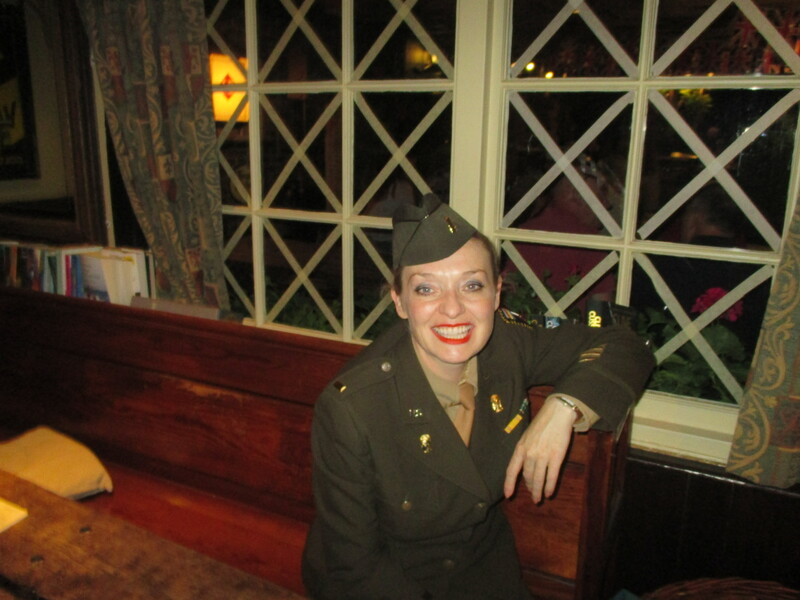 On Saturday I will be performing for an event at Pavenham Village Hall, Bedford the music of the 1940s through to the 1960s in two sets. 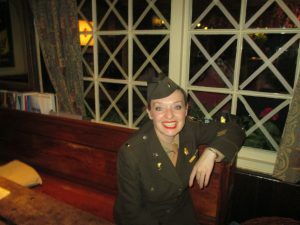 But in the mean time I will be filming tomorrow in Aylesbury at the Limelight Theater as I start work on a new 1940s showreel. It’s going to be a busy two days as I have 17 songs I want to capture which will be edited down into one film. So on that note it’s time I get to bed as I’m in need of my beauty sleep.